Three years at KU Law will transform you. You will work extraordinarily hard. You will study theory, policy, the law on the books, and the law in practice. And you will walk away ready to confront the world’s legal challenges. A rich curriculum, topflight faculty, collegial environment — all in a vibrant university town brimming with intellectual and cultural abundance. KU Law — a great place to be. 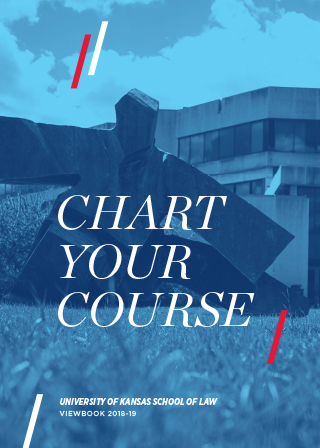 Our philosophy at KU Law is to teach students the foundations of the law, then provide them with the hands-on experience necessary to begin their careers ready for practice. We offer 9 clinical and field placement programs with more than 180 clinical openings and unlimited field placement opportunities for students. The school's setting at the heart of a major research university also makes possible the 12 joint-degree programs open to law students. The most popular programs are business, health services administration, and social welfare, but joint degrees are also available in East Asian languages and cultures, economics, indigenous studies, journalism, political science, philosophy, public administration, Russian and East European studies, and urban planning. KU Law faculty care about teaching. They are committed to excellence in the classroom and to serving as mentors for law students. This is the KU Law tradition. Students are encouraged to consult regularly with their professors about their progress in the study of law as well as career plans, job opportunities, and the professional responsibilities of lawyers. Law faculty offices are located throughout Green Hall, and doors are open to students. Faculty members enrich their teaching by researching and writing about the areas of law they teach. They regularly participate in symposia, publish widely in legal journals, and enjoy national and international recognition for the quality of their scholarship. Notably, many of the textbooks used at KU Law and at law schools across the country are authored by our faculty. Small classes are instrumental in fostering the close-knit and supportive environment found in Green Hall. More than two-thirds of our upper-level classes feature class sizes of 25 students or fewer. These seminar-sized classes allow students and professors to engage in extended discussion and discourse. Students also have a rich course selection from which to choose, with more than 100 upper-level courses offered. 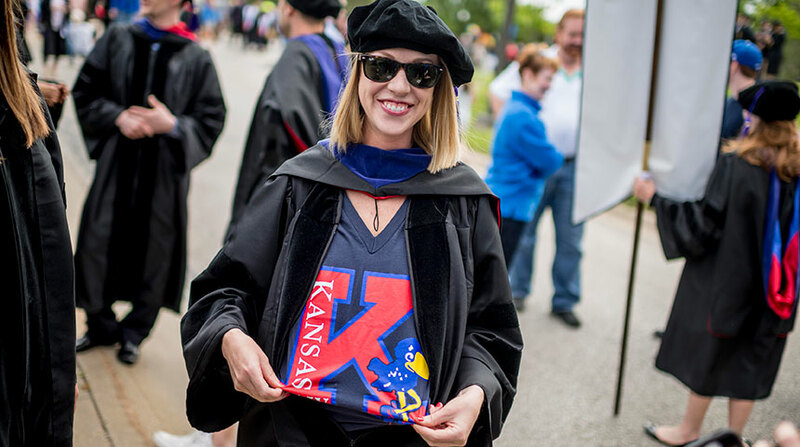 KU Law students can focus on a number of core strengths, including intellectual property, corporate, media, tax, public interest, tribal, natural resources, environmental, and advocacy. Since its founding in 1878, KU Law has been open to all qualified applicants, regardless of gender, race or ethnicity. We are proud of this history, and we remain committed to providing access to a legal education for men and women of all religions, ethnicities, sexual orientations, and physical abilities. Attracting students from diverse backgrounds ensures that all points of view will be heard in our classrooms and in the legal community. KU Law takes pride in its ability to offer a world-class legal education at a reasonable rate of tuition. Our students graduate with an average debt burden far below the amounts found at other law schools. Affordability means choice for our graduates, who can choose to start their careers serving the public, clerking for the judicial system, or pursuing entrepreneurial opportunities in law and business. The University of Kansas School of Law is approved by the Council of the Section of Legal Education and Admissions to the Bar of the American Bar Association, 321 North Clark Street, Chicago, IL 60654, 312-988-6738.